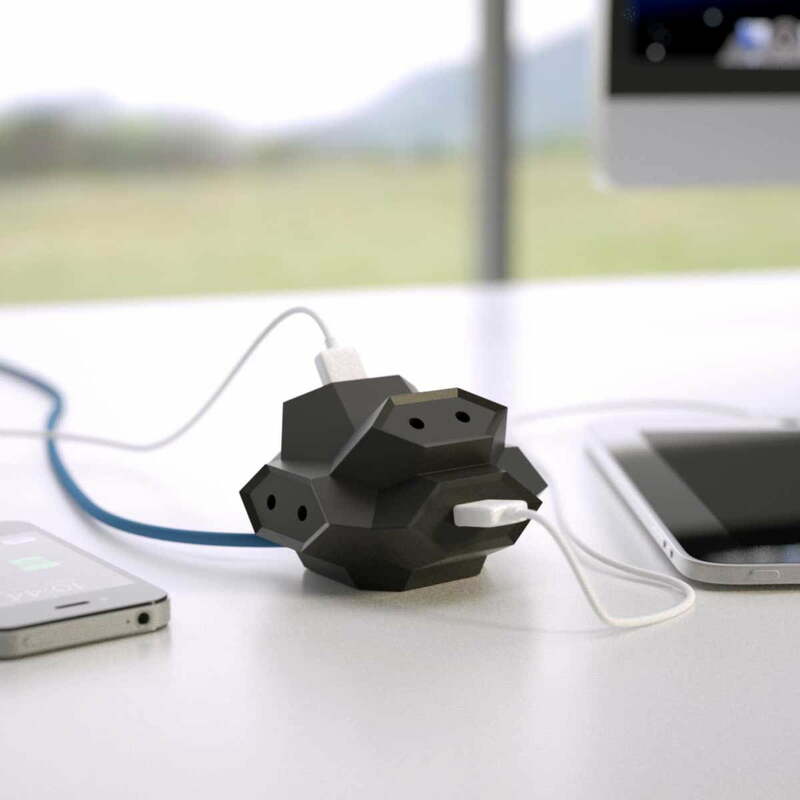 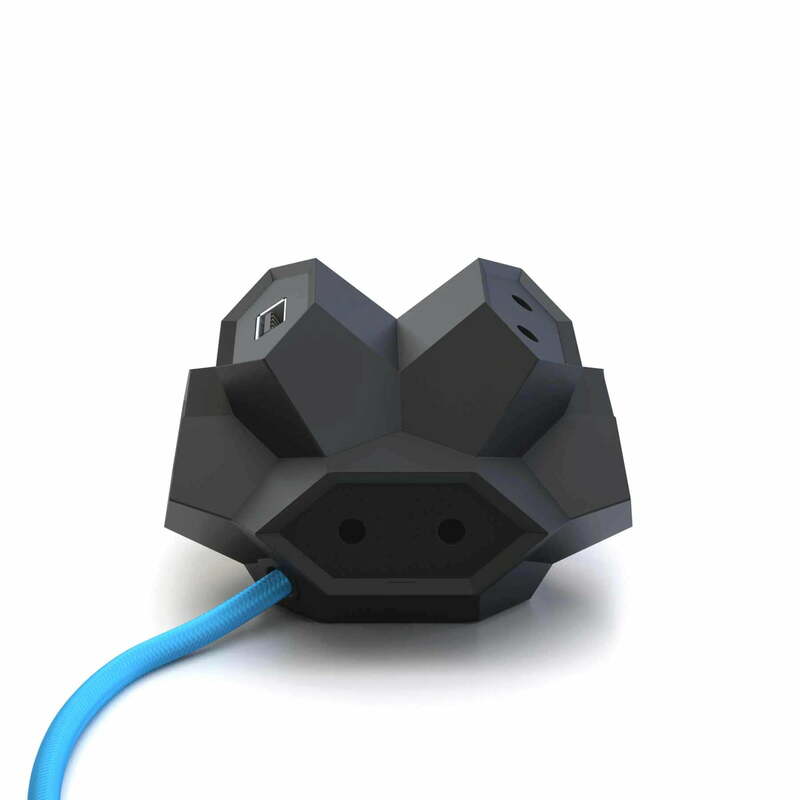 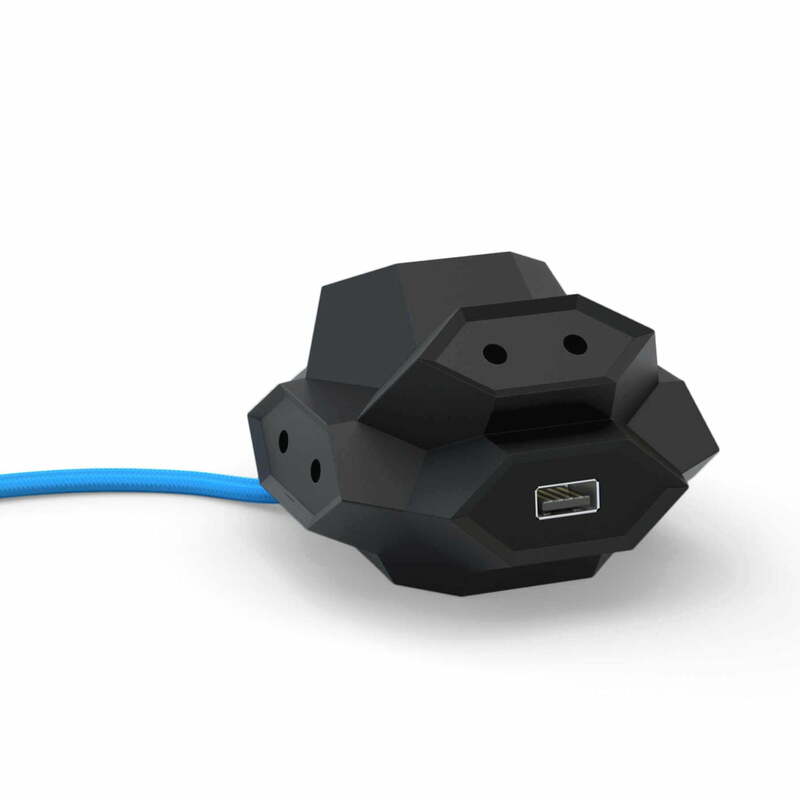 The Diamond Plug is a clever double USB charger with multiple sockets. 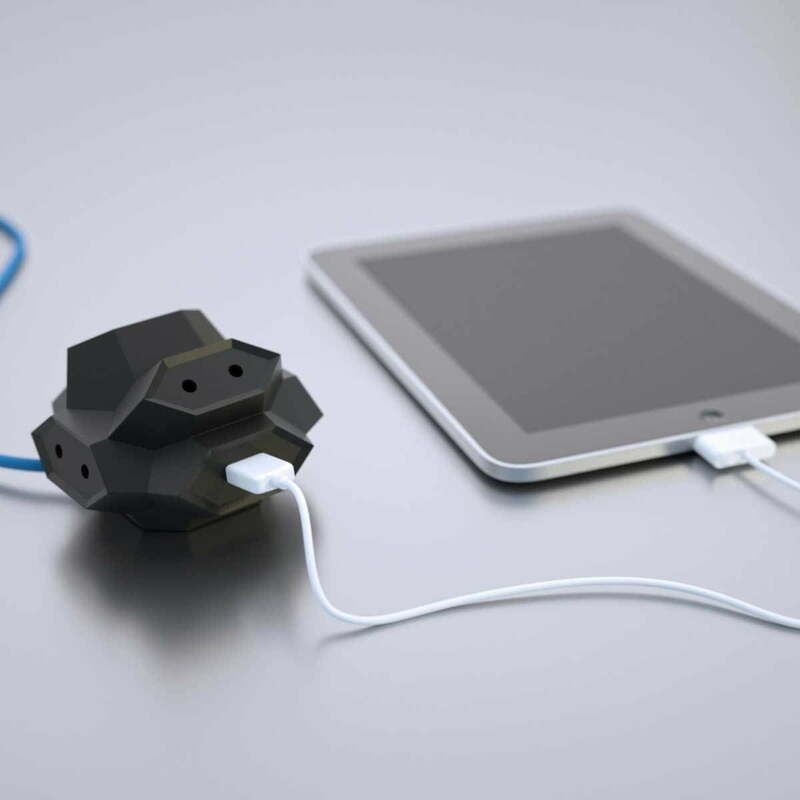 Its design isn’t only unobtrusive and noble, but it is also equipped with practical advantages. 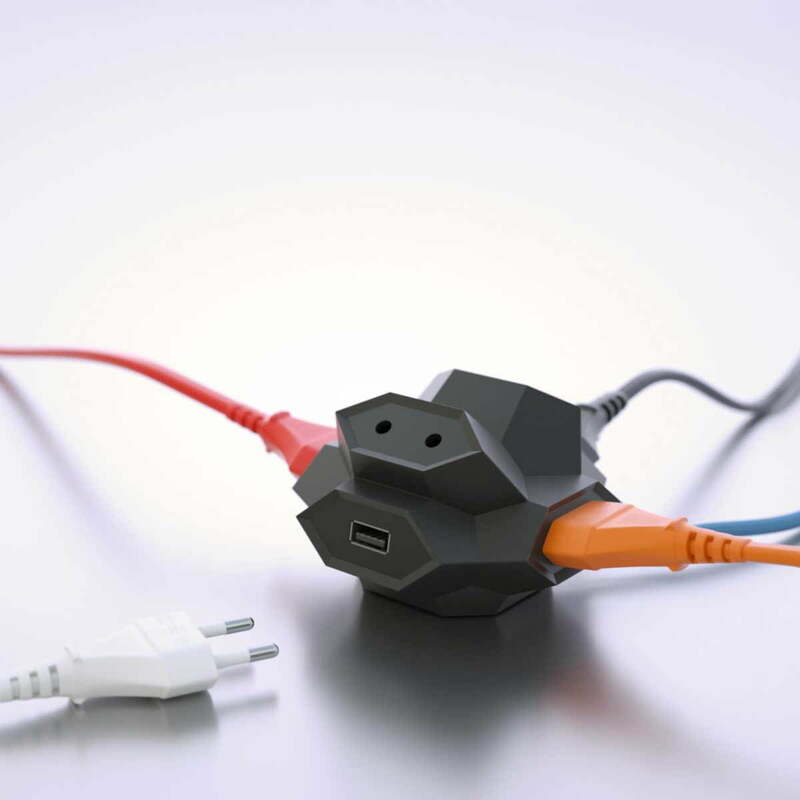 DiamondPlug has four conventional sockets suitable for connections for all kinds of devices. 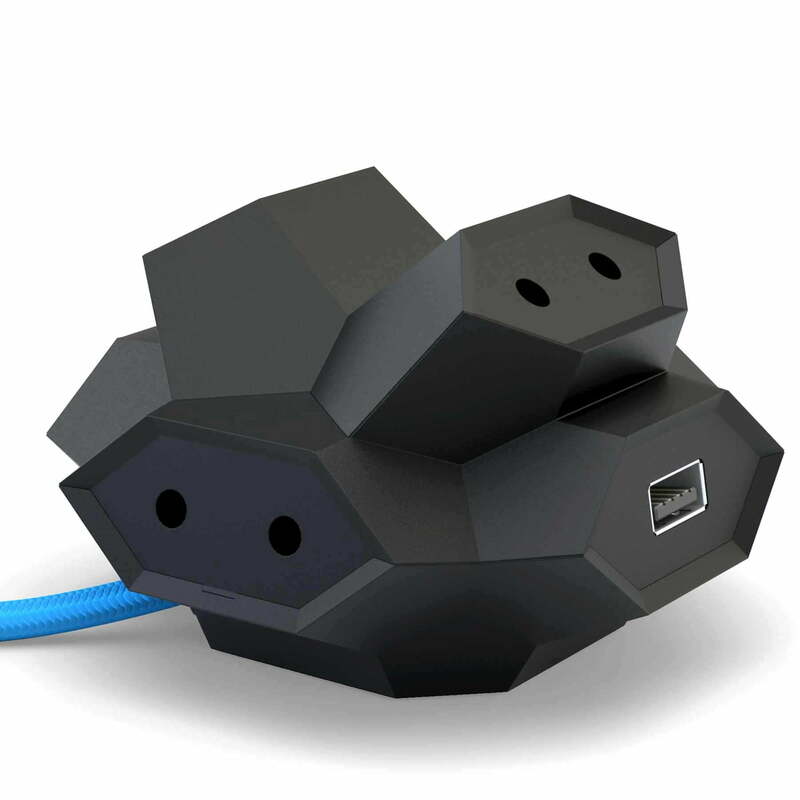 The innovation of this multiple socket is the possibility of connecting USB cables: 2 connectors for USB devices enable charging of smartphones, MP3 players and other electric devices. 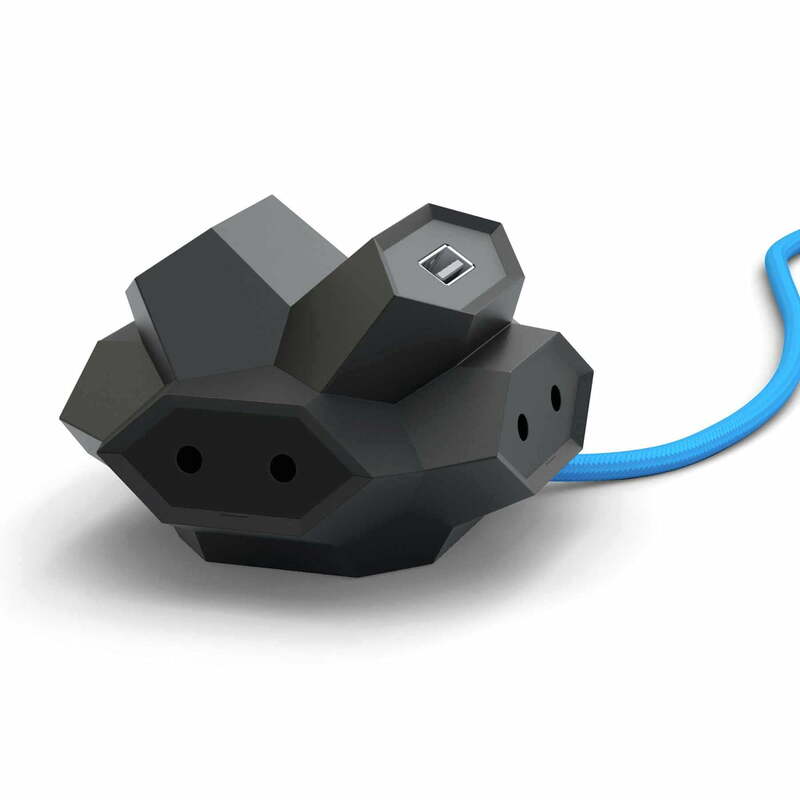 The clever diamond design, which gives the socket its name, makes it fit into places where other sockets don’t fit because of their length. 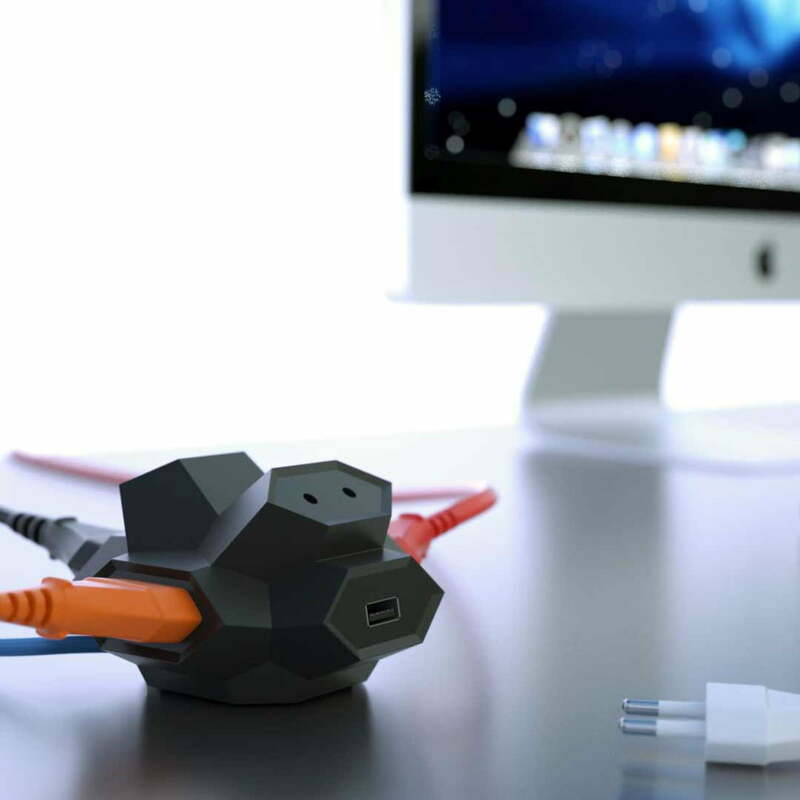 The blue cable completes the noble appearance, which makes it suitable for desktops and places where it is openly seen. 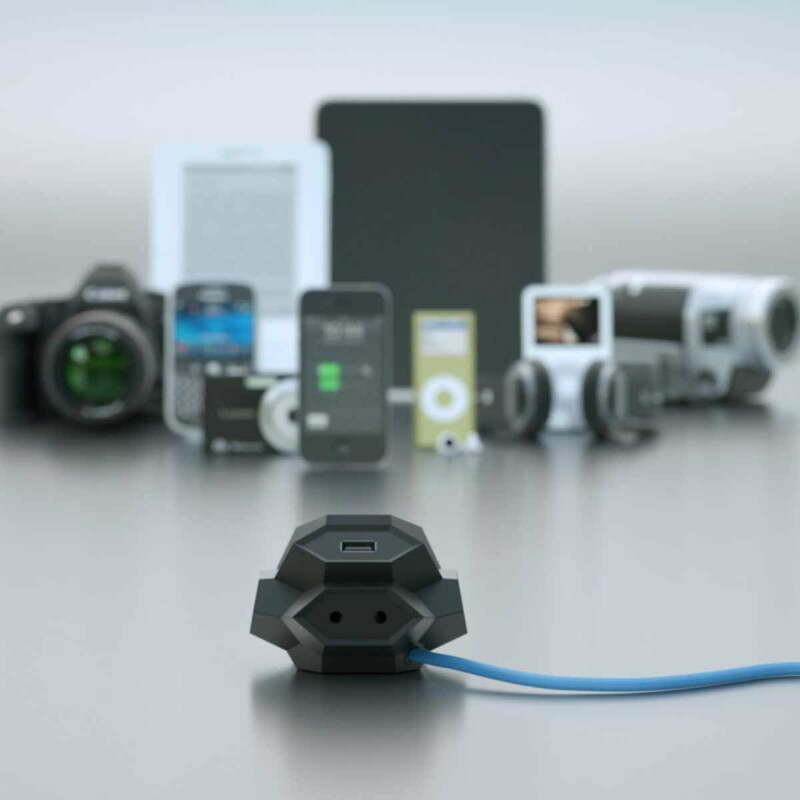 Please note that the DiamondPlug USB Multiple Socket is only suitable for slim Euro plugs (type C) and not for big Schuko plugs (type F).